If this isn’t love at first sight, then such a phenomenon doesn’t exist. 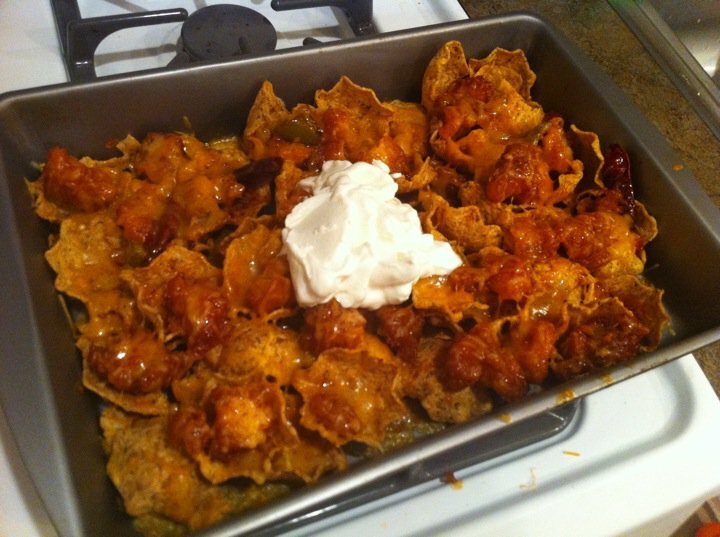 The title on Reddit is: “My friend’s latest drunk creation – General Tso’s Chicken Nachos.” Whoever said that nothing good comes from drinking obviously did not anticipate this. Also, kudos to commenter frenchst. I loved his/her title suggestion so much I used part of it above.